Also Accommodation for visiting Arnside and Silverdate A.O.N.B. 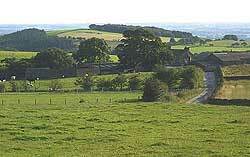 On the edge of the Forest of Bowland close to the Lune Valley and Wyre estuary. Have a walk that is suitable for a tramper or for people with limited mobility. *May take upto 60 seconds for information to fully load.